Lebanon had two busy weeks. Actually, not so busy, since the parliament failed to convene twice to elect the next Lebanese president. With approximately 57 MPs from M8, 52 from M14, and 19 centrists, things aren’t looking good so far for the primary Lebanese candidates (the Maronite Four, Geagea, Gemayel, Aoun and Frangieh). Samir Geagea and Michel Aoun are still hoping to relocate to the Baabda palace. Samir Geagea’s candidacy is currently being overshadowed by Amine Gemayel, who is trying to champion himself as Lebanon’s next consensual candidate by visiting every politician that has ever lived on Lebanese territory (see here, here, here). As predicted on the blog two months earlier, both Michel Aoun and Amine Gemayel are trying to gather parliamentary support by showing themselves as consensual strong candidates close to all parties. However, with none of the Maronite Four expected to win the presidential elections, M8’s decision to boycott the session and deny quorum confirms one undeniable fact: Walid Jumblatt isn’t trusted by M8. In fact, there is no way that any candidate might win the elections without the support of 65 MPs. The regular scenario implies that all rounds – if the status-quo stays the same – would bring in the same results of the first one. In other words, no candidate can secure the required 65 votes unless centrists side with M8 or M14. But since the M8 alliance is boycotting the sessions, the only explanation available is that it doesn’t believe that the Jumblatt bloc is going to vote for Helou in the second round of the elections – But instead for a moderate M14 candidate. M14 and Jumblatt together have more than 65 MPs, and such a move from Jumblatt would halt any Aoun-Hariri deal (by electing Hariri’s main candidate). After all, Walid Jumblatt isn’t very predictable, and he hasn’t stopped changing sides for the past ten years. And the very fact that he precisely waited for this week to reiterate his support for the Syrian opposition isn’t encouraging M8 to trust him more. 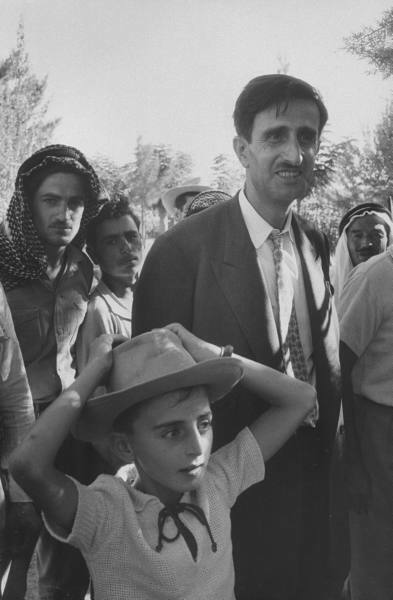 Needless to say that Kamal Jumblatt voted against his ally’s candidate, Elias Sarkis in 1970. That’s why it’s not very wise from M8 to let the elections proceed normally – even if it means getting criticized by Bkirki for denying quorum. Lebanon elects its president once every 6 years, which means that if by any mistake – such as providing quorum and Jumblatt supporting M14’s candidate – an anti-M8 president reaches power, it would be total chaos for the March 8 alliance. They would have lost a key position, and more importantly their main negotiation card for the next phase would turn to ashes. If you think that it’s only about the president, think again. There’s the prime minister that comes with him, the cabinet that rules till November, the electoral law, the parliamentary elections, and a whole new era after that. That’s why, for most politicians, a temporary vacuum – while waiting for a huge deal covering the rest of the issues – doesn’t look so bad. While Michel Sleiman is expected to leave office in two weeks, there are two things to keep in mind: Vacuum in the presidency is more probable than ever, and politicians don’t trust one another – What a precious discovery. 14 days till the 25th of May. Posted in 14 March Alliance, 8 March Alliance, Politics, Presidential Elections, Walid Jumblatt on May 10, 2014 by Ramez Dagher.